wow. this was 7 years ago. 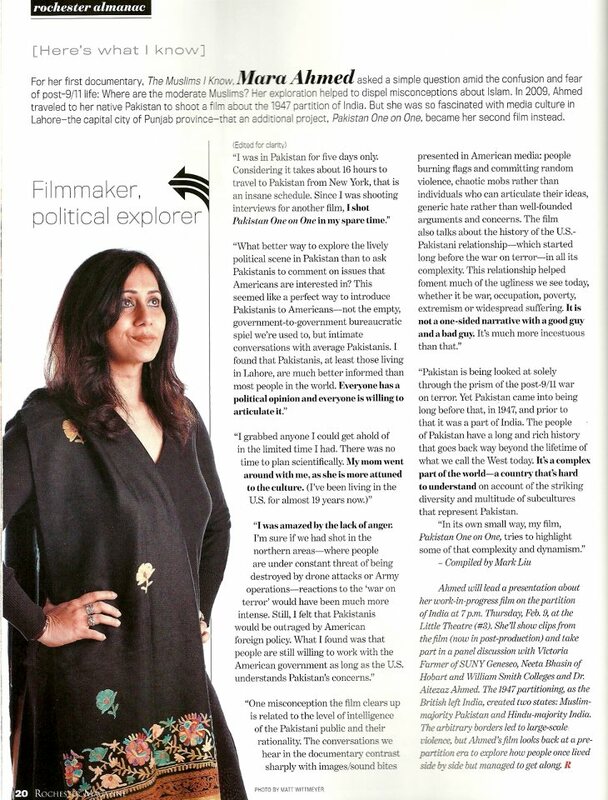 rochester magazine did this wonderful story about me in their feb issue – it was called “filmmaker, political explorer.” loved what editor mark liu took from my interview (esp what i had said about my film Pakistan One on One) and loved the picture by matt wittmeyer.